Ed O’Neill, star of the award-winning hit sitcom “Modern Family,” was honored today with his first-ever star on the Hollywood Walk of Fame. The event also celebrated the highly anticipated upcoming Blu-ray and DVD release of “Modern Family: The Complete Second Season” on September 20. O’Neill enjoyed the day with family, friends and past and present on-screen pals including Christina Applegate, Katey Sagal, and “Modern Family” co-stars Sofia Vergara, Nolan Gould, Rico Rodriguez, Ariel Winter, Jesse Tyler Ferguson and Eric Stonestreet. Sagal and Vergara, O’Neill’s television wives from “Married… with Children” and “Modern Family,” spoke on his behalf at the ceremony. Born to an Irish Catholic family in Youngstown, Ohio, O’Neill attended Ohio University in Athens, Ohio, and Youngstown State University. Signed by the Pittsburgh Steelers, he was cut in training camp and worked as a Social Studies teacher before becoming an actor. He has appeared in several movies including The Bone Collector, Little Giants, Dutch, the Wayne’s Worldseries, and various films for Pulitzer Prize-winning screenwriter David Mamet including The Spanish Prisoner, Spartan, and the indie film Redbelt. “Modern Family” is an American television comedy created by Christopher Lloyd and Steven Levitan, which debuted on ABC onSeptember 23, 2009. 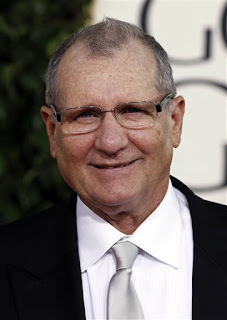 The story follows the families of Jay Pritchett (O’Neill), his daughter Claire Dunphy (Julie Bowen), and his son Mitchell Pritchett (Jesse Tyler Ferguson), who live in a suburban community of Los Angeles, California.